1. Create contact group from "Contacts" menu and add contacts into that newly created group. 2. Create an Email template from "Messages" menu. 3. 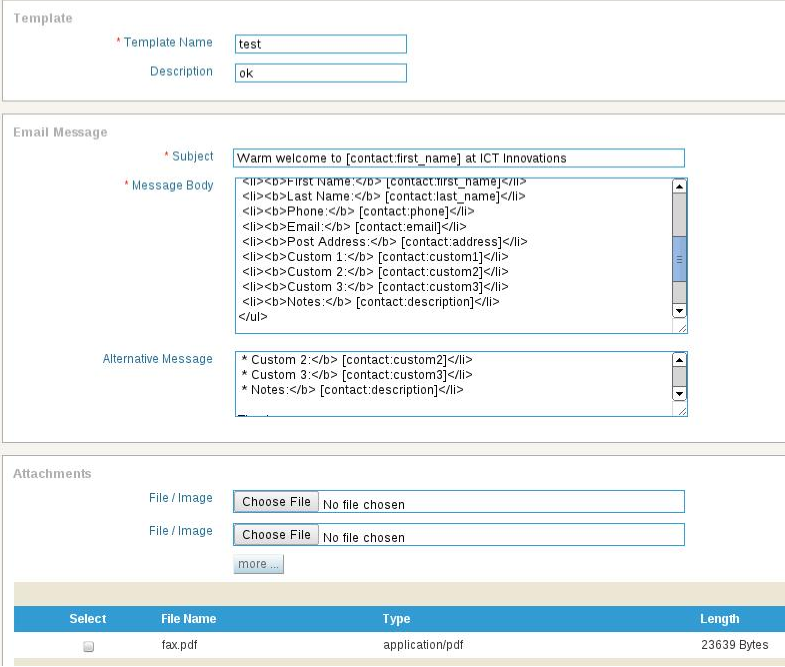 Now user can create Email campaign with contact group and email template created above. "Hi [contact:first_name] [contact:last_name] this if a notification message from Company/Bank to inform you that your current balance is [contact:custom1] "